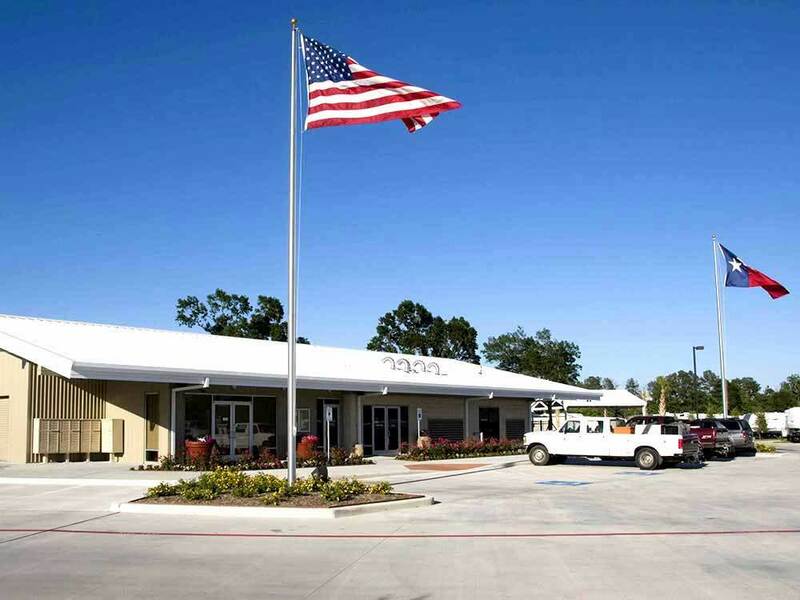 Northlake RV Resort is a 5-star residential RV Resort sporting a sparkling swimming pool & Jacuzzi, a broadband-connected computer room, professional-grade laundry facilities, exercise equipment & so much more. The good: the pool and lake are beautiful. The people at check-in are extremely nice and very helpful. The not so good: Our site was a level pull through not even long enough to fit our 33' fifth wheel and our truck. We had to park the truck across the site. The grassy area around the lake is beautiful but one cannot walk their dogs there. There are supposedly two dog walk areas. The one by the front gate simply leads out of the park to an area that is not fenced. The one at the back of the park is fenced but ridiculously small being about 8' x 40'. The ugly: getting there! It's in a highly congested area and not real easy to get to. We would probably not return to Northlake RV Resort due to its location. We stayed here for two nights, only because of the closeness to the Airport. There is a restaurant within walking distance, right out the back gate. There is lots of cement here, and nice level sites because of this. It is clean, and the pool area looked very nice. Staff was friendly and helpful. Not much to offer although they try. It's really on the outskirts of the city so what can you do in offerings? Really not much at all!